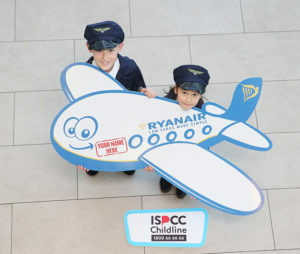 Ryanair has launched a ‘Name a Plane & Fly to Spain’ competition and fundraiser in aid of ISPCC Childline, its 2018 charity partner. Entrants have a chance to have a Ryanair Boeing 737-800 named after them, and head off on a family holiday to sunny Spain. Applicants have until 10am on December 14 to text ‘Ryanair’ to 50300 to donate €4 to ISPCC Childline. ISPCC CEO John Church said: “ISPCC Childline relies on corporate and public donations for over 90pc of its funding, to ensure the service is always there for every child and young person in Ireland. Unfortunately, not every house in the country fills with Christmas cheer and excitement. Some children feel anxious, upset, lonely, or afraid. Full terms and conditions at www.ispcc.ie/competition.